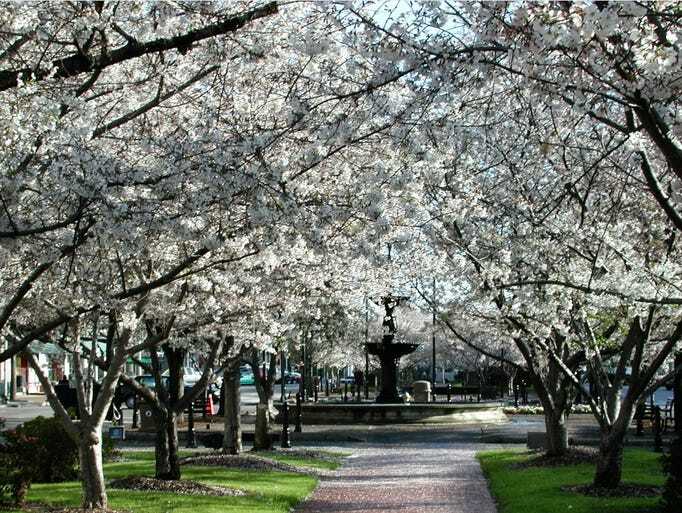 USA Today recently listed the most picturesque locations in each state, and our beautifully quaint city of Macon's Cherry Blossom Festival took top honors in Georgia. The list features a photo of a fountain located in Third Street Park, and in the description, USA Today writes, “Rich history, incredible architecture and stunning southern charm, makes Macon, Georgia "Where Soul Lives." About half-an-hour south of Atlanta, Macon, Georgia's International Cherry Blossom Festival (www.cherryblossom.com) has become an annual event since 1982, celebrating the beauty of over 300,000 flowering Yoshino Cherry Trees.